Rabbi Melhado is the spiritual leader of Kahal Joseph Congregation, the only Baghdadi-rite synagogue in the Western United States. Working in this special community has engaged him in the history of the Iraqi Jewish diaspora and the quest to keep it resonating in the hearts of American Sephardim. 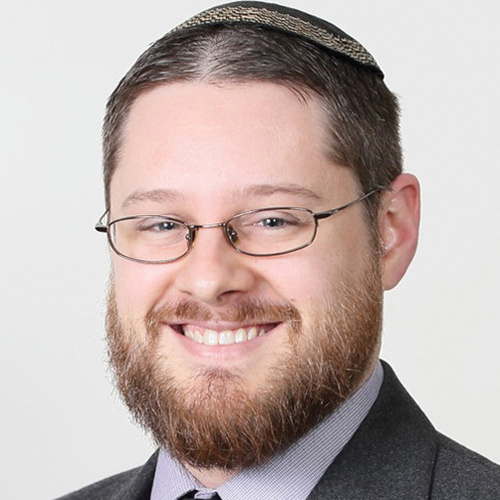 While pursuing semikha at YCT, Rabbi Melhado also earned a master’s in modern Jewish history from Yeshiva University. His previous education includes a BA in history from the University of Illinois, and yeshiva studies at Yeshivat Hakibbutz Hadati at En Tzurim and the Pardes Institute. Prior to joining Kahal Joseph in 2015, he served the Jewish community across a range of institutions, including the Hillels at the UChicago and Illinois campuses, the Institute for Jewish Ideas and Ideals, Congregation Mikveh Israel, and the Hebrew Institute of White Plains.